Boeotia, also spelled Beotia ( or Greek: , , modern transliteration Voiotía, also Viotía, formerly Cadmeis), is one of the regional units of Greece. It is part of the region of Central Greece. It was also a region of ancient Greece. 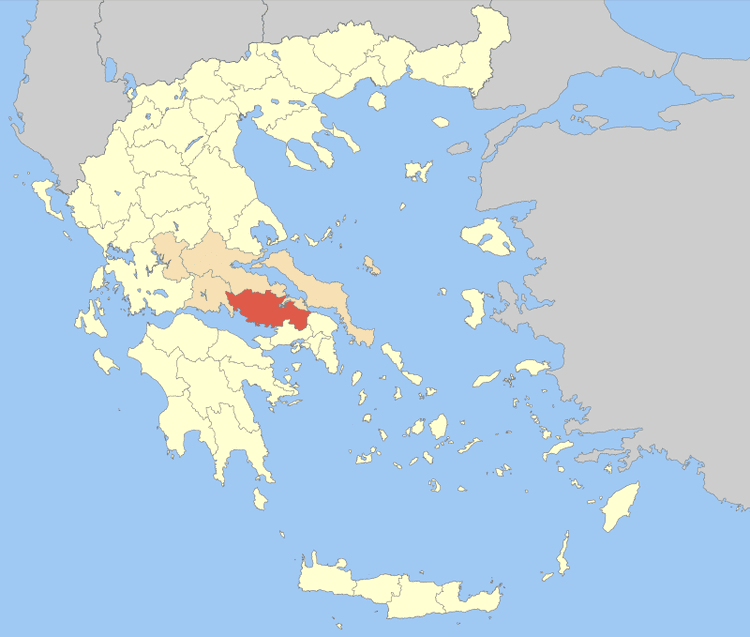 Its capital is Livadeia, and its largest city is Thebes. 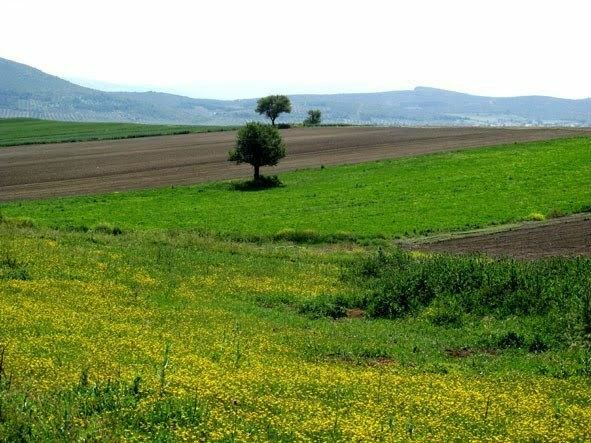 Boeotia lies to the north of the eastern part of the Gulf of Corinth. It also has a short coastline on the Gulf of Euboea. It bordered on Megaris (now West Attica) in the south, Attica in the southeast, Chalcis (now part of the regional unit Euboea) in the northeast, Opuntian Locris (now part of Phthiotis) in the north and Phocis in the west. The main mountain ranges of Boeotia are Mount Parnassus in the west, Mount Helicon in the southwest, Kithairon in the south and Parnitha in the east. Its longest river, the Cephissus (Kifisos), flows in the central part, where most of the low-lying areas of Boeotia are found. Lake Copais was a large lake in the center of Boeotia. It was drained in the 19th century. Lake Yliki is a large lake near Thebes. Boeotia has a Mediterranean climate. Boeotia had significant political importance, owing to its position on the north shore of the Gulf of Corinth, the strategic strength of its frontiers, and the ease of communication within its extensive area. On the other hand, the lack of good harbours hindered its maritime development. The Boeotian people, although they included great men like Pindar, Hesiod, Epaminondas, Pelopidas and Plutarch, were portrayed as proverbially dull by the Athenians (cf. Boeotian ears incapable of appreciating music or poetry and Hog-Boeotians, Cratinus.310). While the Boeotians, unlike the Arcadians, generally acted as a united whole against foreign enemies, the constant struggle between the cities was a serious check on the nations development. 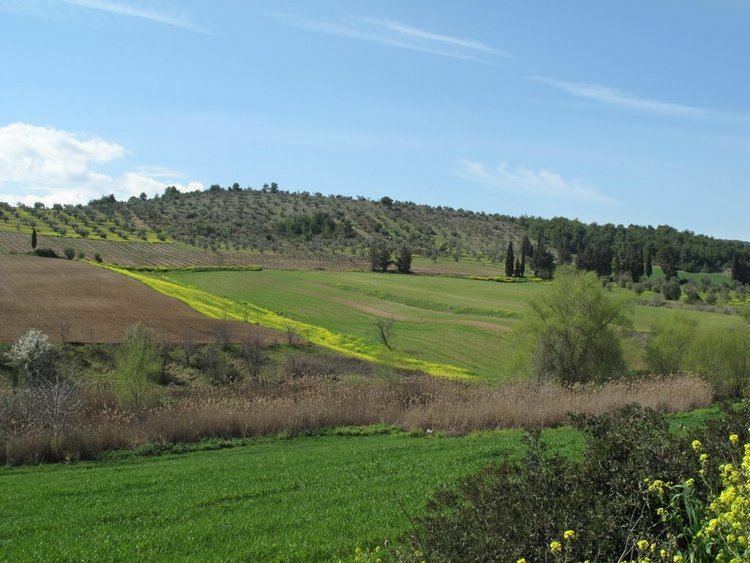 Boeotia hardly figures in history before the late 6th century BC. Previous to this, its people are chiefly known as the makers of a type of geometric pottery, similar to the Dipylon ware of Athens. In about 519 BC, the resistance of Plataea to the federating policy of Thebes led to the interference of Athens on behalf of the former; on this occasion, and again in 507 BC, the Athenians defeated the Boeotian levy. In the Peloponnesian War the Boeotians fought zealously against Athens. Though slightly estranged from Sparta after the peace of Nicias, they never abated their enmity against their neighbours. They rendered good service at Syracuse and at the Battle of Arginusae in the closing years of the Pelopennesian War; but their greatest achievement was the decisive victory at the Battle of Delium over the Athenian army (424 BC) in which both their heavy infantry and their cavalry displayed unusual efficiency. About this time the Boeotian League comprised eleven groups of sovereign cities and associated townships, each of which elected one Boeotarch or minister of war and foreign affairs, contributed sixty delegates to the federal council at Thebes, and supplied a contingent of about 1000 infantry and 100 cavalry to the federal army. A safeguard against undue encroachment on the part of the central government was provided in the councils of the individual cities, to which all important questions of policy had to be submitted for ratification. These local councils, to which the propertied classes alone were eligible, were subdivided into four sections, resembling the prytaneis of the Athenian council, which took it in turns to vote on all new measures. Boeotia took a prominent part in the war of the Corinthian League against Sparta, especially in the battles of Haliartus and Coronea (395-394 BC). This change of policy was mainly due to the national resentment against foreign interference. Yet disaffection against Thebes was now growing rife, and Sparta fostered this feeling by insisting on the complete independence of all the cities in the peace of Antalcidas (387 BC). In 374, Pelopidas restored Theban dominion and their control was never significantly challenged again. Boeotian contingents fought in all the campaigns of Epaminondas against the Spartans, most notably at the Battle of Leuctra in 371, and in the later wars against Phocis (356-346); while in the dealings with Philip of Macedon the cities merely followed Thebes. The federal constitution was also brought into accord with the democratic governments now prevalent throughout the land. Sovereign power was vested in the popular assembly, which elected the Boeotarchs (between seven and twelve in number), and sanctioned all laws. After the Battle of Chaeroneia, in which the Boeotian heavy infantry once again distinguished itself, the land never again rose to prosperity. The destruction of Thebes by Alexander the Great (335) destroyed the political energy of the Boeotians. They never again pursued an independent policy, but followed the lead of protecting powers. Though military training and organization continued, the people proved unable to defend the frontiers, and the land became more than ever the "dancing-ground of Ares". Though enrolled for a short time in the Aetolian League (about 245 BC) Boeotia was generally loyal to Macedon, and supported its later kings against Rome. Rome dissolved the league, but it was revived under Augustus, and merged with the other central Greek federations in the Achaean synod. The death-blow to the countrys prosperity was dealt by the devastations during the First Mithridatic War. 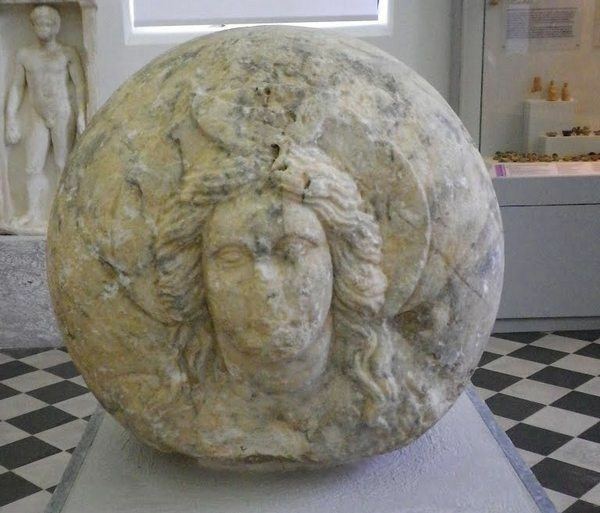 Save for a short period of prosperity under the Frankish rulers of Athens (1205–1310), who repaired the katavothra and fostered agriculture, Boeotia long continued in a state of decay, aggravated by occasional barbarian incursions. The first step towards the countrys recovery was not until 1895, when the outlets of Copais were again put into working order.